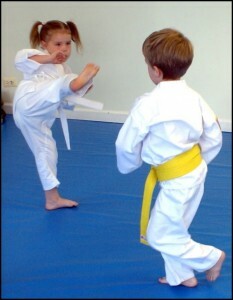 New Edge Martial Arts offers a unique class for children between the ages of 3 to young-4. Tots that Tumble and Rumble is designed specifically to encourage students of this age to become comfortable with not only martial arts, but exercise in general. The program will instruct young students on the fundamentals of Taekwondo, including basic movements, blocks, kicks, and other drills that are geared towards their specific age. Parents and students will see progress in coordination, balance, and flexibility. Increased listening skills, cooperation with peers and teachers, self confidence, self respect, and general health and fitness. Classes start November 10th and will run on Mon and Wed at 1pm. Call (586)204-3387 for more info.